When will this war end? And how? It&apos;s official: President Obama will never see a day in office without war. On Thursday, Obama announced that he will not be withdrawing American troops from Afghanistan by 2016, and, instead, will keep military forces in the country through the remainder of his second term. When Obama leaves office in 2017, the war in Afghanistan will be more than 15 years old; it&apos;s already one of the longest in the United States&apos; history, longer than the war in Iraq and nearly as protracted as the Vietnam War. "I do not support the idea of endless war, and I have repeatedly argued against marching into open-ended military conflicts that do not serve our core security interests," Obama said in his announcement. "Given what&apos;s at stake in Afghanistan, and the opportunity for a stable and committed ally that can partner with us in preventing the emergence of future threats, and the fact that we have an international coalition, I am firmly convinced that we should make this extra effort." Nobody wants to risk being the president who hands Afghanistan to the Islamic State. This is far from the first time the president has changed his mind about ending the war. 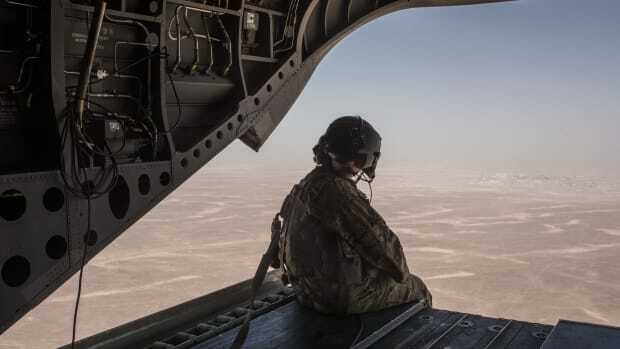 In March, during Afghan President Ashraf Ghani&apos;s visit to the White House, Obama announced that 9,800 troops would remain in the country through the end of the year—a turn away from his earlier promise to reduce the U.S. military presence by half. Prior to Thursday&apos;s address, that goal had previously been bumped to 2016; only 1,000 troops would have remained in Afghanistan under the now-defunct plan, and they would have been stationed at the U.S. embassy in Kabul. That has changed, of course. Now, 9,800 troops will stay in Afghanistan through "most of" 2016. By the year&apos;s end—if the plan is still in place—5,500 people will still be stationed at bases in Bagram, Jalalabad, and Kandahar. These troops will have two jobs, Obama says: "training Afghan forces and going after al-Qaeda." The latter of those two is, somehow, not considered a combat role; it&apos;s called "counterterrorism cooperation." In this case, as the Intercept has reported, "cooperation" often takes the form of secretive drone strikes, supported by the military and the CIA, which represent "a potential model for the future of American warfare." 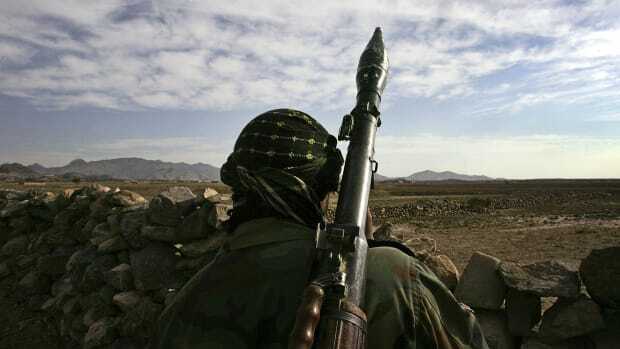 As Taliban insurgents spread through more of the country than they have at any point since 2011, and U.S. military officials fear a future where the Islamic State tears through Afghanistan, it&apos;s no surprise that Obama&apos;s reneged on his promise to end the war. 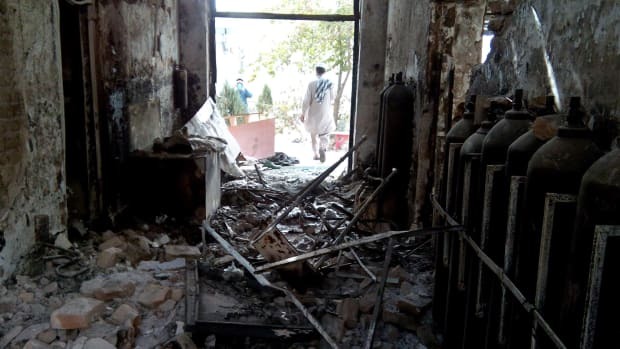 After the Taliban briefly captured Kunduz in September—the city where U.S. forces recently launched a deadly airstrike against a Doctors Without Borders hospital—it was only a matter of time until the drawdown shrunk into an indefinite drawback. Yet, the most important questions still remain: When will this war end? And how? "I visited our troops in Afghanistan last year to thank them on behalf of a grateful nation. I told them they could take great pride in the progress that they helped achieve," Obama said Thursday. "They pushed the Taliban back so the Afghan people could re-claim their communities, send their daughters to school, and improve their lives." Since 2001, more than 26,000 Afghan civilians have been killed in combat; more than 100,000 have been injured. The country has the world&apos;s third-lowest life expectancy at birth. For every 1,000 Afghan children born today, 91 will die before they reach the age of five, which is one of the highest mortality rates in the world—and the highest of any nation outside Africa. 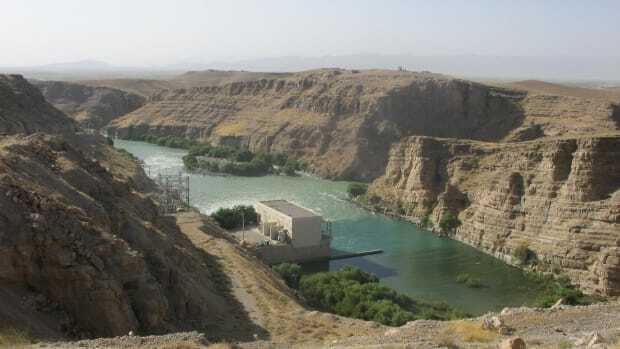 Between 2011 and 2013, Afghanistan was given more development aid than any other, yet, according to the World Bank, it was still among the world&apos;s poorest in 2014. The Global AgeWatch Index has ranked Afghanistan as having the worst quality of life for people over the age of 60. If the war did improve the lives of Afghans, as Obama said, it has not improved enough. Why should anyone believe that will change next year, or after a new president inherits the war? The result is warfare in both Afghanistan and Iraq whose closest approximation to success is not victory over the insurgency, but rather the persistence of a U.S. presence.... Like Bush before him, Obama passes off to his successor the decision whether to disentangle or escalate, and his likely successors—except for longshot candidate Bernie Sanders—are more hawkish than he is. He is maybe the closest thing to a peace president that the U.S. has elected in a generation. But along with Obama&apos;s geographically boundless campaign of quasi-assassination, twilight wars are his legacy. This twilight war, in other words, cannot be stopped. It has already outlasted one president, it will outlast another, and nearly every candidate campaigning for the 2016 election supports a military presence in Afghanistan—except for Sanders and Rand Paul—so it may very well outlast the next one too. (Donald Trump called the war a "terrible mistake," but believes U.S. troops are needed to prevent a collapse.) The political landscape is easy to read: American forces will be in Afghanistan next year, and the year after that, and almost certainly the year after that. Nobody wants to risk being the president who hands Afghanistan to the Islamic State. Unless, that is, the voters force them to take that risk. 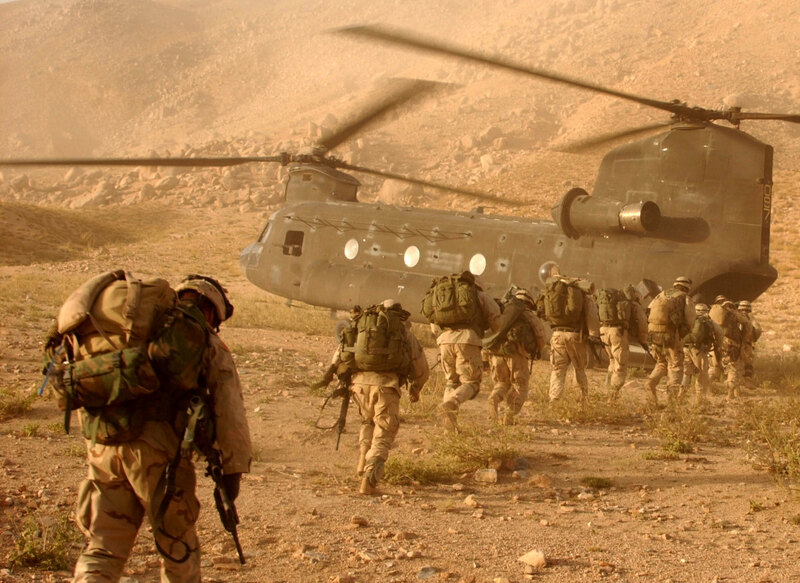 In each year since 2007, Gallup has held a poll on the troop presence in Afghanistan. The question is always the same: "Thinking now about U.S. military action in Afghanistan that began in October 2001, do you think the United States made a mistake in sending military forces to Afghanistan, or not?" When Obama first took office, 30 percent believed it was a mistake. Last June, that number spiked to 42 percent. Will this opposition convince a presidential candidate to change positions? Probably not—though it&apos;s telling that neither Sanders nor Clinton have commented on Obama&apos;s decision. The growth in opposition is a sign of something though: The bridge between what Americans want and what American politicians can do can only stretch so far. Obama knows this. When he made his announcement Thursday, he suggested that Americans are weary of the war. "As you are well aware, I do not support the idea of endless war, and I have repeatedly argued against marching into open-ended military conflicts that do not serve our core security interests," he said. The words sounded familiar, but look carefully: He didn&apos;t march U.S. troops into Afghanistan, but he did choose to make them stay—and the next person to sit in the Oval Office may keep them there for a long, long time. For certain companies, there's a logic behind the call for more war: money. 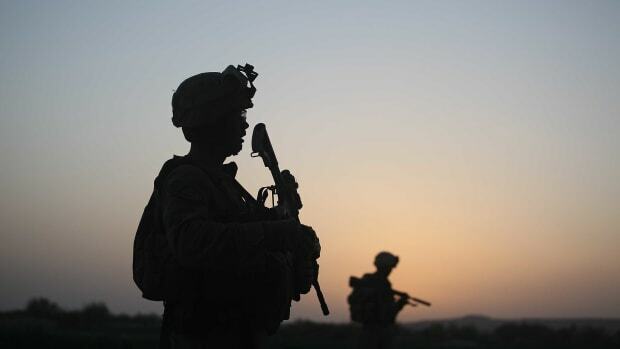 With Special Operations Command personnel making up an increasingly large share of troop levels abroad, the government mandate for wartime transparency becomes less binding. The Doctors Without Borders report sheds terrifying light on last month's airstrike.